THE ANCIENTS AND THE THOUSANDS OF GENERATIONS to follow and those of us who now live in the twenty-first century have sought and seek to understand the mysteries of the world and the universe. The mystery has been more than what is out there beyond us. We are the mystery— that which is in us and that which affects us. The most pervasive view has been to explain the unknown by the capriciousness of gods and in the Hebrew context the wrath or beneficence of God. The search for something beyond self, the search for “something out there,” has been endless. 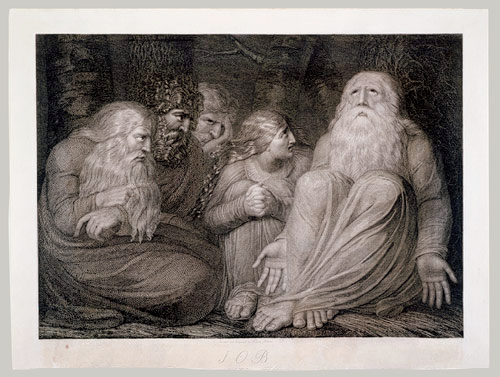 An example of that search is found in the Hebrew didatic poem, the Book of Job. The person of Job is afflicted beyond his imagination and also possibly our imaginations. He wonders where God is in all the problems piled upon him. After all, as the people Israel thought, obedience to God’s law was enough. Job finds there is more in life than being obedient. Faithfulness despite life’s setbacks has more to do with a wholesome life than adhering to the rules. The story of Job is a reminder that times will come in everyone’s life when there is a feeling of abandonment. All too often humanity is left without a sense of hope—there is no place to turn. Job cannot understand that he is living the life all humanity lives. The best of people, the richest of the fortunate, and the most beautiful of the beautiful face the ultimate challenges—the ultimate challenges of life’s changes and loss. One of the best examples of that sense of loss is when the Psalmist cries out in pain, “My God, my God, why have you forsaken me?” As Jesus hangs on the cross at Golgotha he cries out the same words and then dies. In the Gospel story told by Mark a rich man comes to Jesus asking how he can obtain eternal life. This is the question being asked today in our society. How can we have it all, how can we have everything and not lose anything in the process? Jesus responds to the man by telling him he lacks one thing. That one thing is a generous heart. Possibly, the answer to the decline in religion, especially in Christianity, is that it has lost its generous heart. Both Job and the rich man are asking questions about how to live their lives in the realities of their times. The questions of Job and the rich man are like that. Who are they and what do they want? Job thought life was grand and perfect. He had no problems, no issues, and no lack of anything. He had it all and while grateful felt a pride in that gift. The rich man had everything he needed and likely he asked the question about eternal life out of hubris. Maybe he thought he had eternal bliss in being rich and pious. Apparently, neither Job nor the rich man thinks of themselves as somehow inadequate—nevertheless, they lack something. Job wants to know why a good person like him should suffer. In his hubris, the rich man expects more and tests Jesus to learn what that more is. He may have thought, since I keep the law so rigorously, I should have the right to eternal life. Jesus answer is a surprise to him. The rich man learns he is lacking and eternal bliss and this deficit despite his piety. Job learns that simply on the grounds that he is a good person he is not entitled to a trouble-free life. Who are you, and what do you want? Are you Job believing, because you are good by nature, you are entitled to a trouble free life? Do you, a wealthy person, believe because you are pious as well as rich you are entitled to an eternal life of ease? What do you want from life? There will always be problems in life. Just being born is a problem. We are born in pain and we become less than bundles of joy in our infancy. Through our lives people worry about who we are and what we are doing. The bum on the street, rejected and unknown becomes a source of fear for us. He is our fear on the grounds that he is dirty or unpleasant to be around. Will he be a beggar asking us to give him a dollar so he can buy more wine, or will he attempt to scam us into doing something we do not want to do? Yes, he very well may do those things. Is it because we fear we may end up like him? If we acknowledge others will we lose our identities? We all want identity and we all want to be something. Will Job regain his identity? Will Job return to his former well-being? Job will encounter God in ways he never thought of as his story continues. Job will learn that in losing all and retaining his faith he gains emotional health. Because of the rich man’s question, the disciples learn that they must go beyond self to see eternity. When he asks Jesus the essential question, “What must I do to gain eternal life?” the rich man learns that he is incomplete but not hopeless. He did not know that he is beloved of God. God wants him to experience more than adherence to rules and clinging to possessions. In Jesus’ answer to him the rich man learns instead that God want him to enjoy the gift of love. Job will come to understand he is not the center of the universe but instead of apple of God’s eye—a beautiful human being. A poetic style found in the Hebrew Bible that appeals to reason. ← Wisdom Who Can Find?